Two new stories for U.S. readers make the second issue of this new series a must-read! 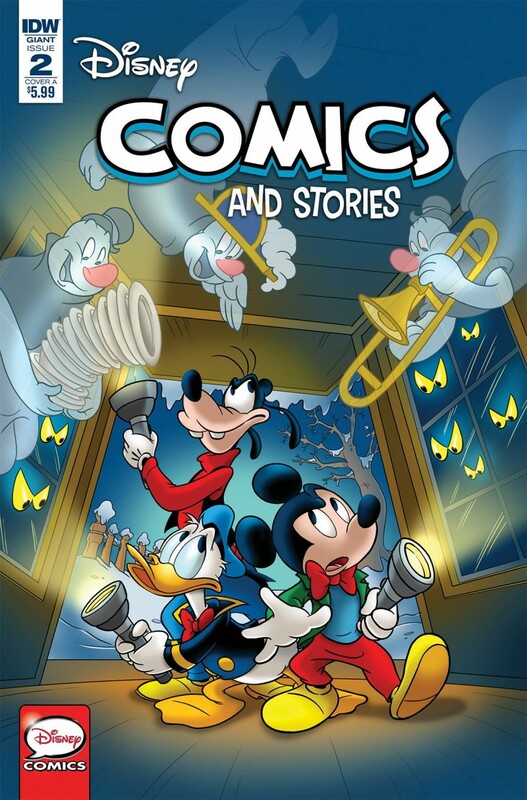 First up, Mickey, Donald, and Goofy encounter some ‘Lonesome Ghosts’ in a spooky story just in time for the holidays. In ‘Sports Photographer,’ Donald gets a job taking photos at sports events-with predictably hilarious results! The second issue featuring brand-new content for U.S. audiences with fresh and modern translations! Two classic stories for fans of all ages! Brand-new cover from artist Paolo Campinoti! Continuing the Walt Disney’s Comics and Stories legacy numbering with #745!